A word of warning. A word of hope. These two words best characterize the parable of the sower from his morning’s gospel. First, there’s a warning, because the question that underlies this story is a question every one living in this world must ask. “If God truly loves us as creatures made for His good pleasure, how is it that there are some who will not inherit eternal life?” How is it, for example, that Christ states in the gospel, very clearly, that “Many are called and few are chosen,” and that “The gate is narrow and the way is hard that leads to eternal life, and that few are those who enter it”? Or, as we find in today’s gospel, “How is it that there are many who have received from the Lord everything they need in order to bring forth a wonderful harvest, and yet fail so miserably at the task?” If, in the end, this is what happens, then why would God create us in the first place? Which just happens to be what many of our atheist detractors say, that the very existence of hell is proof of a divine experiment gone horribly wrong. Or, perhaps, that the God in Whom we believe must be nothing more than a cosmic monster who takes a perverse pleasure in seeing his creatures suffer in a type of hell that Christ Himself calls a “weeping and wailing and the gnashing of teeth.” This is what the atheist Richard Dawkins says, that the God of the Old Testament is nothing else but a fictional bully who is petty, unjust, unforgiving, vindictive, bloodthirsty, misogynistic, genocidal and unequivocally malicious. Why bother with creating the world at all if this is the case? This question, as I have said, is one of the greatest obstacles people cite for their refusal to believe in the truth of the gospel. Yet the reason you and I are all here today in this Church and celebrating this Holy Liturgy is because we DO believe in the goodness of God even as the scriptures of hell as the ultimate form of human failure. Because if we read the holy fathers and their take on the gospel, what we learn is that hell as a phenomenon is something we humans have created for ourselves. Simply put, God loves and cherishes everything He makes, every living creature: plants, animals and humans; He loves every grain of sand, every particle, atom and quark. Nothing has been left “outside” of His unfathomable love. As humans, God has made us free to accept or reject His love, because the great law of love is that without freedom, there can be no love. Love and freedom are symbiotic realities in that they cannot exist one without the other. For those who accept it, thusly, such love becomes the very content of heaven and eternal life; for those who reject it, such love – this same love, becomes the opposite, eternal darkness, sadness, and alienation. But we would be amiss if we were to speak of this parable only in terms of a warning. Because the primary purpose of the parable is to teach us that even though we may have a heart that is cold and calloused , or a heart that is shallow and superficial, or a heart that has become infected by worldly affections, it is still possible for us to overcome these spiritual pathologies. So the parable becomes for us a word of hope, as we stated earlier. There is hope for us to move from a state of spiritual sickness to a state of spiritual health, if only we are willing to take upon ourselves the work of repentance. Everything in this parable points to the task of cleansing the soil so that the seed of God’s word might penetrate, germinate and maturate. Repentance, strictly speaking, is simply doing what needs to be done in order to prepare the heart so that God can do His work, so that the spiritual gifts might be embedded and grow in the way they should. For example, keeping God’s commandments breaks up the asphalt caused by sin. The ascetical practices of prayer and fasting deepen the heart in preparation for the reception of the word. And by learning how to keep vigil over our hearts and by overcoming the sinful passions, we uproot all of those worldly “tares” that have grown up in place of the good things that God has intended for us to grow. 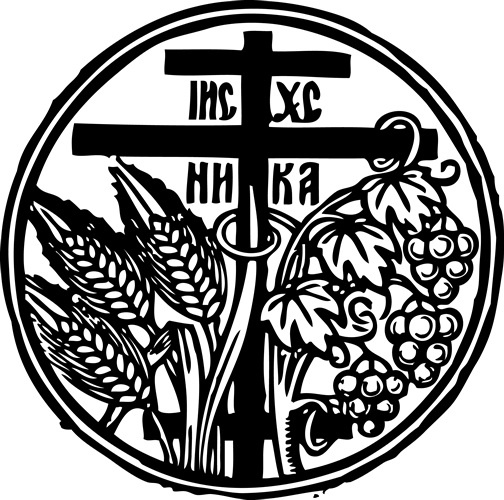 As a matter of fact, we might say that everything we do as Orthodox Christians in the Church is intended for the healing of the heart so that it might be brought back to life once again. For the heart that is not dedicated towards the spiritual life is a heart that is spiritual dead, and which, in turn, spreads death to every other dimension of human existence. This is why the parable ends with this promise, were the Lord says, “And as for those with the good soil, they are those who, hearing the word, hold it fast in an honest and good heart, and bring forth fruit with patience.” God promises to us that He will provide us with a good harvest, with a harvest that is abundantly rich, if only we do our part. The last 2 words of the parable are thereby the operative words in that they are the crux upon which the entire parable hangs. Because the promise of Christ is not simply that those who have a good and honest heart are those hear the word, hold the word, and multiply the word, but that this happens only “with patience.” Which is ultimately why we focus so much on the “little things” that belong to the regularity of spiritual life: to daily prayer, to attendance of Church services, to the study of the scriptures, to the watching over of our thoughts, to the confessing of sins, and all the rest. We do these things patiently, regularly, time and time again, knowing that God will bless us if only we remain faithful to the task. So today, may God help us know that the heart is everything for us as human beings, and that everything concerning our salvation hangs upon how well we attend to doing our part in bringing forth the harvest God is hoping for. Amen. A wonderful summary of my favorite Parable for it defines the tre meaning of Christ and His Church. We who worked St.Luke found this as the recipe for membership in Christ. Some will hear the word but turn from it since it does not fit their manner of being. Some will stay for awhile but get lost in quest for more of the material world. And some will hear what the Lord has said believe and practice it with patience and love.